Courtesy of SELLSTATE PLATINUM REALTY. 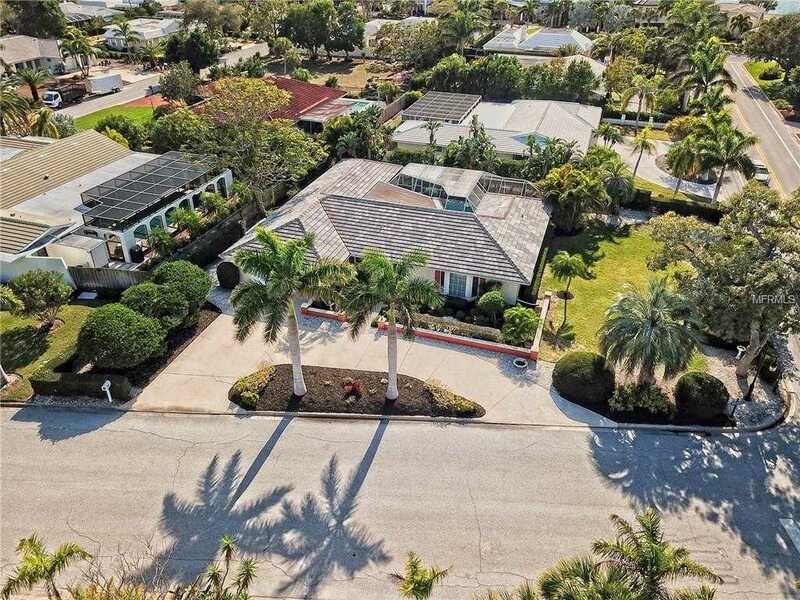 Located on beautiful Bird Key, this impeccably clean, charming garden home allows ready access to Sarasota 8217;s best. To the East-the unique draw of downtown and all it offers. To the West-the charms of St. Armand’s Circle, alluring Lido Beach, and internationally acclaimed Longboat Key Club. Traditional floor plan, solid construction-the home is ready to move-in now, allowing you to enjoy! Also, you have options: renovate and make it your own, or build your dream home. Once inside you note large tile flooring and the remodeled kitchen with granite counter tops,stainless steel appliances and custom-made maple wood cabinets,breakfast bar and convenient adjacent family room.The screened leisure area allows you to step out to relax,swim,or grill your favorite BBQ. Enjoy pool views from kitchen,master and main guest bedrooms. Sleep areas are split,maintaining privacy, and featuring bedrooms that are spacious,especially the master,with walk-in closet,and by bathrooms with high quality granite counter tops and dual sinks. Other details include new A/C unit(2017),inside utility with washer/dryer,attached 2-car garage with brand new epoxy flooring with storage closet plus attic storage,beautiful landscaping, irrigation system,new pool pump,bay windows,crown molding,central vacuum and hurricane shutters.The easy-access, circular driveway provides extra space for parking. Optional membership to the Bird Key Yacht Club gives you convenient access to club facilities. Home is priced under pre-listed appraised price. Please, send me more information on this property: MLS# A4210585 – $798,000 – 600 Wild Turkey Ln, Sarasota, FL 34236. I would like to schedule a showing appointment for this property: MLS# A4210585 – $798,000 – 600 Wild Turkey Ln, Sarasota, FL 34236.